Thu Nov 25 2004 21:51 PST Special Thanksgiving Photo Zeitgeist Search Request Thing: I have to go to sleep because tomorrow I'm chauffering everyone all around San Francisco, but I thought I'd share with you the most popular Thanksgiving images on crummy.com, as determined by Eurovision Song Contest voters using Google image search. 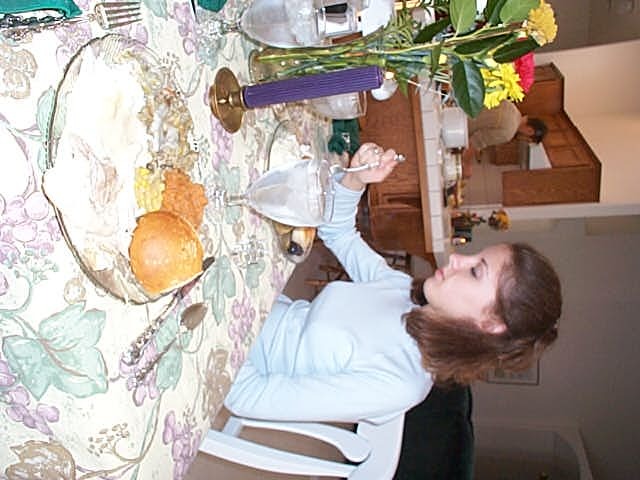 By a wide margin the most Thanksgiving-ish picture is this sideways one of Rachel eating, possibly because of the colorful flowers in frame. 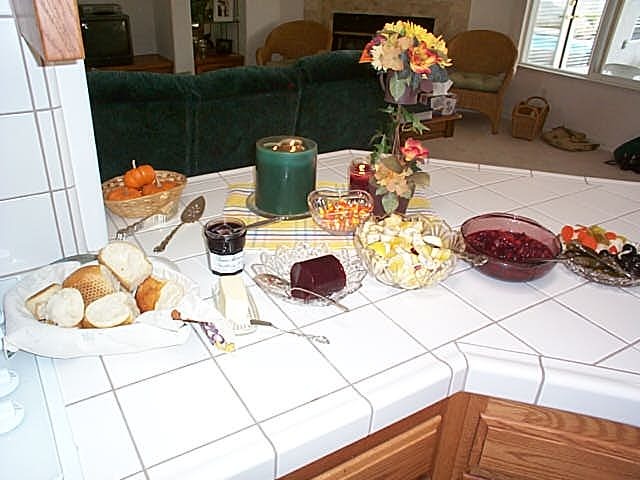 A distant second place goes to this lovely spread, marred only by the presence of canned cranberry sauce. There's probably a third place, but already I tire of this conceit. Today I had Thanksgiving dinner at my uncle's house, which was good but IMO not as good as last year's blowout. Of course last year at this time I was desperate for home-cooked meals. I played a lot of games with Susanna and Rachel today, and it was fun. I hope your day went well also.